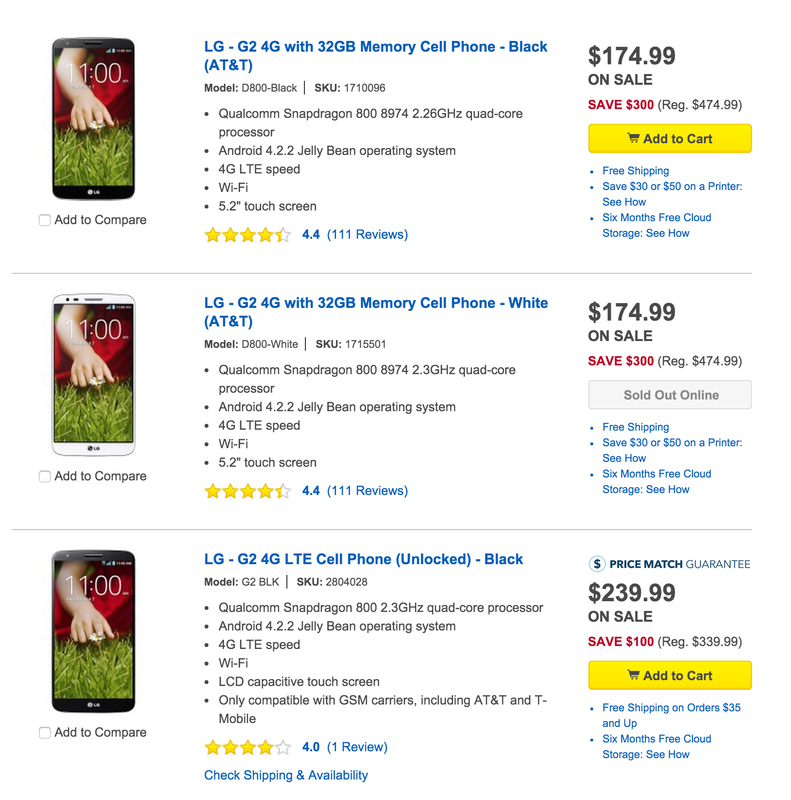 A few nice Android phones are available at Best Buy today for lowest ever prices. Grab the LG G2 for AT&T networks for $174.99 – an all time low and a great phone for $175. Get one unlocked for $230 as well. The LG G2 has a 5.2-inch 1080P display 2GB RAM, 13MP camera and is upgradable to Lollipop 5.01. Also, grab an unlocked Moto E (1st gen) for $49.99. That’s $70 off of list and the best price we’ve seen for an unlocked Moto phone.